Last Friday was the day for us to vote in the General Election. As we were taking part in the Electoral Commision's Kids Voting Programme, we cast a vote that let us see what it would be like to take part in the election. We used special ballot papers that looked nearly identical to the ones used for the General Election in our electorate, Christchurch East. 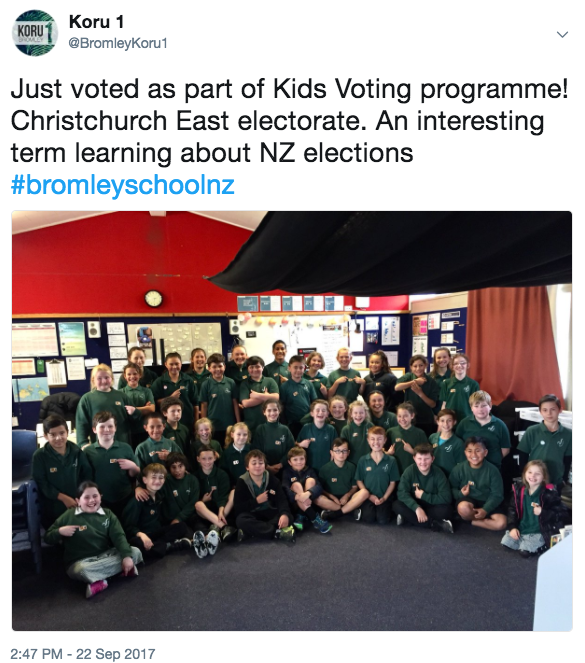 The election is something we have used as a driver for our learning this term, which has had us learning all about engaging in democratic processes, learning about how people and the communities they belong to make rules and laws, and how everyone has a right to be involved in decisions that affect them. During our school-wide learning exhibition last week, we shared our thoughts about what we each see as important for New Zealanders. The display was called 'Future voters of New Zealand' and we were very proud to share our opinions. 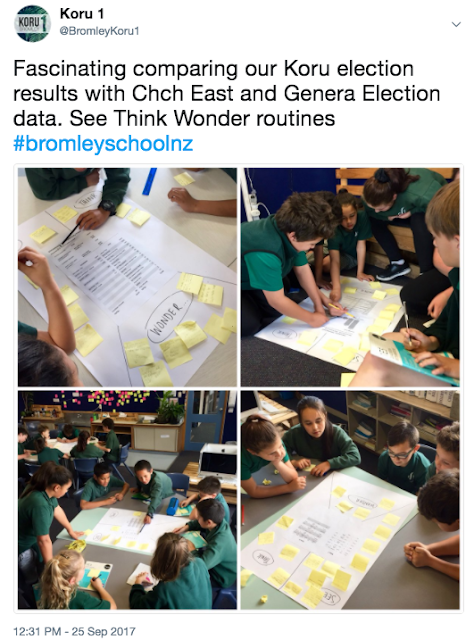 This week, as we reflect on our learning, we are taking time to look closely at the results of the General Election, looking for similarities and differences with our own election results, and asking many questions about what will happen next. We have heard some wonderful, emotive discussions so far this week that clearly tell us that Koru 1 students are genuinely interested in the communities we live in and understand that we play an important part in how they function. I really enjoyed that we got to vote because it felt like we were voting in the real election. It was a really cool experience voteing in the New Zealand General Election. I was really looking ford to vote. It was hard to choose national or labour so I went with the party who has a policy that worrys me. This year compared to last year of what I know would be a BIG difference. I have learnt what an election is,how old you have to be to vote,who the leaders are,what there policies are and how to vote and what it feel's like. I enjoyed doing the presentation with Kelli and Ava on the Green's Party with questions like who the leader is,what the policies are and other intresting facts. I was actually really happy once I voted, I won’t say who I voted for, but it was really good having this chance. I know this is a once in a lifetime opportunity to vote at my age, and going back to what I knew before! All I knew was that National was in charge and Labour wanted to be, I didn’t even know there were all these diffrent parties. This inquiry has been great! At least this will give me a heads up when I can vote in the future. Thanks Mr K and Mrs Harris! The kids voting was a really good idea! This year I have learned almost everything that I know now because at the start of the year all I pretty much new was that you vote and the person who has the most votes wins and they are in control. But now I know what a voting paper looks like plus I know what parliament and today I learned what a hung parliament means and the you can go in coalition with other parties. I thought it was easy to vote for a party leader because I had already had It in the back of my mind and I liked how in where we were voting It was like we were acculay in where they do vote but in a classroom. Voting last week was really cool, I definitely in the end got an idea of all of the parties policy's which helped me a lot in choosing which party I wanted to vote for. The kids vote would have been awsome!! I loved ❤️ the fact that we were able to vote to give us a taste of what its like when were older and able to vote. 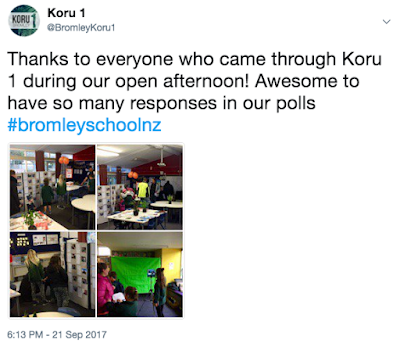 Koru 1 has been realy positive about the election and everyone has been relating to others wall. I belive that, if andrew little was still leader of the labour party, then they would've never got as-much votes as they did this election! (In my opinion). Working at the voting booth (which im not sure I will do when im older, but I might), looking at the results from koru 1 and comparing them to koru 2, mr K's "peep talks??? ", and just learning about the election in genral! Its been a great term learning about the election. At first, I was a bit like "uhh, the election? Is'int that a bad thing to teach to kids???". But it has actually been really cool. I did my own research, and I found out that there was a "original" labour party, before the labour party we have today! Look it up, its amazing what you find from a simple google search! I have really liked learning about the election. It was really interesting to see the difference between the general election and the class election.